Paper size: 23.9 x 18 cm. 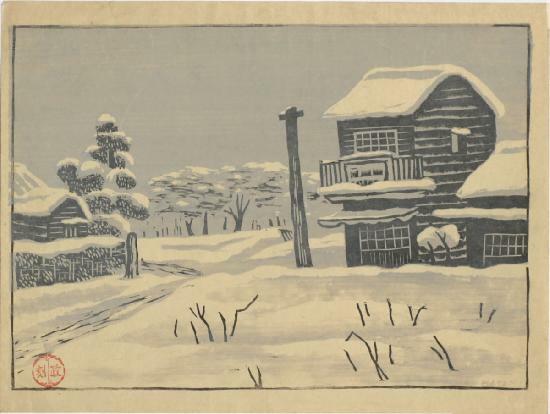 Self-printed in 1929; artist’s seal bottom left, “Masao” carved in the block bottom right. A rare early work, in exceptionally fine condition.